Today was our final assembly. We watched a performance by the band, the kapa haka and farewelled the year 8 students. It was also a time to recognise students throughout the school with our end of year certificates. 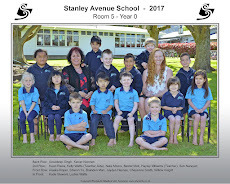 Students were awarded either a certificate for academic excellence across all curriculum areas, or for consistently striving to succeed and showing a positive attitude towards learning. This year the recipients in Room 5 were Lucas Gamble and Jessica Broekhals, who were both awarded the Striving to Succeed award. Lucas comes into class everyday keen and ready to learn. He is always organised ,asks a lot of questions and offers to help where he can. He never says that anything is too hard and asks for help when he gets a bit stuck. As a teacher I love being able to see Lucas working through tricky tasks and giving everything his all. This is the reason I chose him to receive one of my Striving to Succeed awards. Jessica is a constant ray of sunshine in Room 5. She starts everyday with a huge smile and a cheerful greeting that lights up anyones's day. She is keen to give anything and everything a go. In class she asks for help is she gets stuck and is an amazing helper to myself and her classmates. She takes risks with her learning and always gives everything 100% effort and this is why I have chosen her to receive my other Striving to Succeed award.